One | Taking part in Book Blogger Appreciation Week last week was such a great experience. I'm really happy to have taken part and discovered some new to me bloggers sharing a host of amazing and varied content. Although I had a blast, I feel like I wasn't prepared for how big of an undertaking being a participant would be. At least in future years - because I hope there are future years - I won't be going in so blindly. Two | It feels like there hasn't been enough hours in the day these past couple of weeks... That, or I've been a bigger procrastinator than usual and feel like very little has been done. Let's be honest, it's most likely the latter. Three | You know when you leave your emails to build up and have a little freak out when you return and there are like 700 emails. Yep, I know that feeling all too well. I recently tackled my primary email inbox after letting it build for far too long. It's kind of a daunting task, but if you're in that situation, I'd advise to just jump in and do it because you'll feel so much better afterwards. The vast majority of my emails were junk - you know the daily circulars you get from companies you've bought from etc - so it wasn't too bad. The next task is to un-sign from some of those because I clearly don't pay any attention to them when they build up like that. Four | We headed out on a little family adventure to Caerphilly Castle and had such a good time wandering where we hadn't before. I was doubly happy with our outing because not only did we get to spend some nice quality time together as a family, but I also captured some of my favourite pictures taken this year so far. If you're interested in those at all you can see them here on my other blog - Captured By Jade. Five | Recently I watched a documentary on Netflix UK called Twinsters. The documentary follows these two Korean adoptees, one adopted by an Parisian family and the other a US family, but by coincidence come together and discover they are in fact twins. It's such an amazing story and it's really beautiful to see the relationship they develop and how they help each other in many ways. I'd highly recommend giving it a watch if you can. Six | I'm still that blogger that fan girls inside, and clearly here too, when an author reads or replies to a review of mine - even more so when I haven't interacted that post in any way other than literally sharing it. Throughout my comings and goings in the book community I've always been that way, and I don't see it changing. Am I the only one?! Seven | I'm a little behind on reviews at the moment, having only shared one this month despite reading quite a few books. I'm hoping to catch up on them early in March because I do tend to stay on top of my reviews. Typically I won't read a new book without having written my review of the last first, but because I've been reading a lot of shorter length books I've just been jumping on in. I had a major fangirl moment last night when Colleen Hoover followed my Instagram account. I still freak out whenever an author acknowledges anything I do. I don't think that'll ever change for me. Lol. I can't handle having any emails in my inbox. I'm a bit obsessive about it. I read, delete and organize them into folders immediately. Otherwise it'll drive me nuts. OCD at it's finest! I go through phases where I'll stay caught up on reviews, and then I'll go weeks without posting any. Once I started doing mini reviews, it became easier for me to stay caught up, and I don't always feel like I have to post a review immediately once I'm finished reading. Only bad thing is my memory is crap. Lol. It's better for me to post immediately before I forget things. Haha - that's cool!! I know how much you like Colleen Hoover! That's one of the reasons I try to write my reviews after reading - my memory is crap too! Haha! I fear my next few reviews aren't quite going to be on par with the rest of them!! Oh, I know what you mean! T. Greenwood did some "favorites" of my Tweets and "liked" one of my pages (Where I Lost Her). I would never catch up on reviews if I didn't make myself write the review as soon as I finish the book...and before I start another. I don't trust my memory, even when I take notes! I think we'll always find it exciting when an author 'acknowledges' what we do as bloggers - it's nice really, isn't it. Haha! Memory is my issue too. I'm not too sure what my next couple of reviews are going to shape up like. The worst part... I haven't even taken any notes!! Oh I definitely still fangirl when I get an author comment or a like or retweet or espeically a reply on twitter! I'm not behind on reviews because I'm behind on my actual reading! I've got a few books that I need to write reviews for but first I need to actually finish them! Your trip looks really lovely! It seems that we all fangirl a little! Haha! Oh, I hope you catch up on your reading soon! 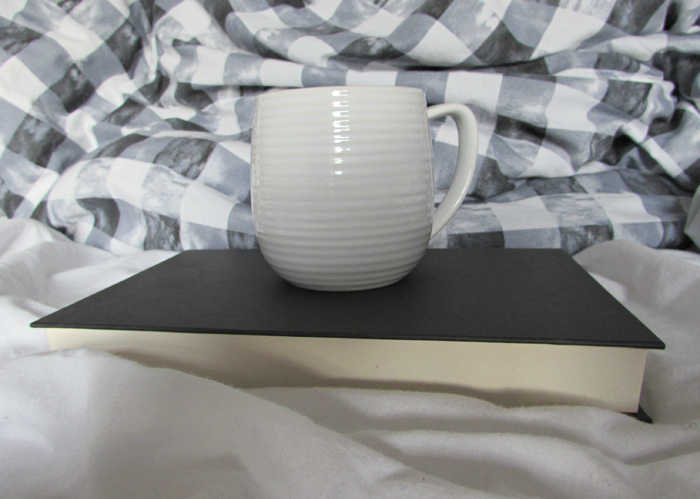 I felt like I read so little in February, but then I started to compile my February Wrap Up and I was kind of like 'err...', because I'd read a fair few more than I thought! I am soooo behind on reviews! If it's not already painfully obvious, I've decided that I won't be reviewing everything I read anymore, but I still have a few I'd like to review and haven't yet...one of these days. And YES to #6 -- me too! I think it has happened twice on my blog? And I am always amazed that an author took notice. You've got to do what works for you, eh. I try to review every book, but some books I don't review. Those I don't review I just rate on Goodreads and leave it at that. Reviews take quite a while to write, so it's totally okay to be behind! Being able to interact with authors on various platforms is so amazing! I am definitely a fan girl when it comes to that, haha. Getting emails all cleaned up is so refreshing. Even if I do nothing else during the day, if my email inbox is at zero I feel accomplished. It's definitely great how social media is able to bring authors and readers together. Signings and events are great for that, of course, but social media is great for those international barriers. My blog email is ridiculous and I do need to get on top of it, good for you. I also recently unsubscribed to a few on my main email, all those store emails, ugggh. Authors commenting on your reviews is great, a wonderful feeling. Yes!! The store emails seriously mount up!! Haha - BBAW was such a great event! It's so much fun interacting with authors, isn't it? Those sound like some really great moments. Haha! Oh, Erin, I'm the same with author interaction - agonising over every word I write in reply. That's a pretty cool interaction that you shared - I'd be fangirling too!! I hate that feeling that I am not accomplishing anything... I try to, but I always fall below the mark. I am pretty sure it is a procrastination.